When are Good Times for Team's to Offer Pro Soccer Tryouts to Me? 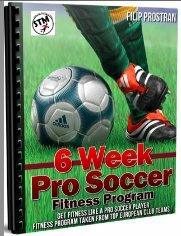 Need to know when a team will be willing to offer Pro Soccer Tryouts to players like yourself? Or when's the best time to contact them about coming to their team for a run? 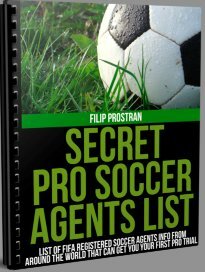 All your answers to the best timing for teams to offer tryouts, for you or your agent to contact teams and when the transfer window is available to you and other players to join pro sides. Sometimes it's difficult to know when you should go on your own for a tryout, or you're nervous because your agent is taking much longer than you first anticipated. These things take time, but if you follow the advice below you’ll be on the right track. I've done it myself and I know how these things work so here are some things to follow and more importantly the answer to all your questions. When Are Teams Looking to Sign Players? Well it depends on a few things. If you're under contract then you are confined to the terms of the contract. If you are a first time signer then you can sign for any team at any time. Backkkk it up, so lets say you are in contract, and you want to sign with a new club. You have to wait to what is called Transfer Windows. These are times or windows in which a club may transfer a player. A player that is under contract cannot move clubs outside of these transfer windows unless under specific permission from the governing body. A player who is out of contract can join another club at any time, depending on where they are playing of course. So to answer the question, teams are always looking for good players and pro soccer tryouts are some of the best ways teams find new players. Now in Europe for the most part the transfer window is for two months in the summer and one month in the winter or half way through the season. This applies for most of Europe who play their season from August - May with a break in December. Countries in Scandinavia (Finland, Sweden, Denmark, Norway and also Ireland and some others) play from March-November and have a transfer period after their season is complete and would be looking for players at that time. How Long of Contracts do Teams Usually Give to New Players? Well generally 1-2 years. Again depending on age, salary requirements, where you've played and how good they think you may be this can all depend. Generally for players who do well during their pro soccer tryouts, and have some sort of playing experience they will offer 1 year terms. This benefits both the club and the player. In case the player isn't as useful as they first imagined and don't want to be locked in to a long term with the player. Or if the player isn’t happy at the club they can look to make a move after one season, win-win. Pro Soccer Tryouts and the logistics involved can be quite a lot to handle, the most important thing is to not concern yourself with those things and just play for the love of the game when on trial, and give it your all, no regrets. How Long Does it Take For a Team to Make Their Decision Whether or Not to Sign Me? There is no exact timeline that every team follows to keep a player on trial before making a decision. But generally a team will keep you on trial anywhere from 4 days up to a few weeks. After assessing these factors a team will make it’s decision. You could get unlucky and be on trial a day before the deadline day and they may not get an adequate chance to watch you play. These are all things your agent will make sure are lined up properly before going to any pro soccer tryouts. I’ve had teams keep me on trial for up to a month and others just a few days before making their decision so it really depends on the team and their situation. How Many Players Does a Team Usually Sign? Again it depends. Every professional League has a governing body and each governing body has different rules. Some countries say you must have a certain amount of players less than 18 years of age. Others say you must have “x” amount of domestic and foreign players and a roster amount at a certain number. From my experience professional teams in Europe carry up to 30 players for training and carry 18 for matches on the official game rosters. This varied from Serbia to Ireland but was the general rule of thumb. The time of year, injuries and several other factors go into how many signings a team will make per year. The way I looked at it during my first pro soccer tryouts is how many players played my position at the current time. If I felt I was in the top two in my position I knew I was safe, if I was outside of that I knew it could go either way. Have more questions not answered yet? Feel free to Contact a Pro and ask us anything! Have A Great Story About Pro Trials or Advice? Share it With Us!